Once you have adopted a new dog, it is natural to desire to take them out exploring. Dogs can be fantastic companions on hikes, family vacations, adventures, or simple excursions to dog parks. 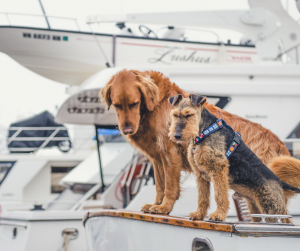 When first venturing out with a new dog, however, there are some important tips to follow to make sure everyone has a safe and relaxing time. For all adventures, it is a good idea to make sure the dog has up to date tags and updated vaccinations. Hiking is a fantastic way to spend the day outdoors getting fresh air and exercise, just make sure that dogs are restrained by a short leash. While long leashes are great for open areas, they are easily tangled in underbrush, and what dog likes to stay directly on the trail? While it may be tempting to allow the dog off the leash for some free time, make sure that the dog is obedient to a fault because chasing after something in the woods is a fantastic proposition for just about any dog. If the canine companion is allowed off the leash, make sure that they can be snapped back on if other hikers cross the path as some people are uncomfortable around new, unleashed dogs. It is important you have enough water for all humans and animals on the adventure, as the natural water encountered may not be as clean as it appears and could contain parasites. Once the hike is over, give a careful inspection for any ticks or other pests. Closely check any skin folds, ears, belly, and other areas where ticks can easily hide. If any are found, use rubbing alcohol and tweezers to carefully remove the pest. Avoid any contact with the blood, then wash the area and keep an eye on it for persistent sensitivities. A vet visit may be needed if any signs of trouble emerge. The dog should be restrained in a crate that allows them to stand up, lie down, and turn around while remaining firmly on the seat throughout the trip. If the crate is new, have your furry friend get used to their new chambers long before the trip while still at home. Feed your canine companion three to four hours before leaving to avoid an upset stomach. If more food is needed along the way, take the time to eat at a rest stop, not in the moving car, so the dog can stretch his legs afterwards. Remember; bring enough water for humans and animals! Also remember to bring plastic bags and a scoop for bathroom breaks, along with a first aid kit and a favorite toy to keep the trip running smooth. It may be a good idea to bring along a copy of vaccination records in case anyone inquires at state borders, but they are not typically necessary. Just like a child, never leave a dog alone in a car, even with the windows down. It can easily turn into a furnace or refrigerator, and disaster can strike. Also, although the vision of the happy dog sticking his head out the window is attractive to many, this can actually be quite dangerous, especially on a highway. Keep the windows up if the dog is not confined. Air travel can be a bit stressful for canines and their families. Check with the airlines regarding pet policies. Most will require an up to date vaccination record and certification of health from a vet within the last ten days. This vet visit will also be a good time to discuss possible sedatives or other options for the dog depending on needs. Feed the furry companion three to four hours before departure and take them for a walk as close to boarding as possible. If the dog is traveling in the cargo hold, attach some food to the outside of the crate and include some water frozen in a dish (so it will melt by the time he is thirsty). Airline personnel should be able to feed the dog during layovers or delays. Make sure the crate is certified as a USDA shipping crate and large enough for the dog. Prominently display the words ‘Live Animal’ on the crate and mark which way should be ‘up’. Also attach a photograph of the dog to the crate and carry another in the wallet, which can help track him down in the instance of escape. If the flight is delayed, ask airline personnel to check on any animals in the cargo hold, and in the instance of a very long delay, deplane if necessary. Dog parks are excellent for exercise and for socialization. It is very important to watch how the dog is playing with others, however. Make sure that the dogs are actually playing and not being aggressive or responding defensively. This is why it is important to turn off any cell phones, except for emergencies, and pay attention to what is going on. Be proactive about monitoring the playtime by calling to the pet frequently to gauge their reactions and to prevent the play from wandering too far away. 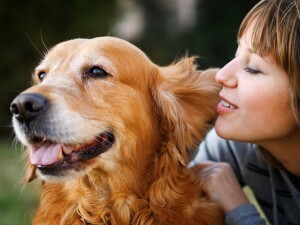 If the furry friend is having problems with another dog, it is okay to leave and come back at another time. Not all dogs are going to get along. Learn how to keep your fur friend healthy throughout your adventures by following NuVet Labs on YouTube. Discover more pet-friendly topics here! There are several techniques and products that help you deal with your dog when they display unwanted behaviors, such as barking incessantly. However, there are several things you should be aware of before you attempt to address the problem. First, you need to understand why your dog is barking. While people talk and use body language to communicate, dogs communicate through barking and wagging their tails. Many times, your dog is trying to tell you something by barking. The message can range from “Hey, welcome home, I missed you!” to “I’m hungry, where’s dinner?” Your dog may also be trying to tell you that he’d like to go outside, or there is a stranger approaching your home. Some dogs, like Huskies and similar breeds, love to talk to everyone, and they do this by barking. If your dog barks when left outside alone, this is usually because dogs are pack animals and want to be with you. Sometimes, dogs bark for what seems to be no reason, but this is rare. How Can I Stop the Barking? After you have determined why your dog is barking, you can now address the behavior. If your dog needs something legitimate, like dinner or a potty break, help him out with his needs. If he’s barking just to hear himself bark, address this issue and teach him that his behavior is unacceptable. While punishing your dog may work as a short-term solution, it’s not at all advisable. Try redirection first. When your dog starts barking, redirect with a toy or a session with the grooming brush. Taking your dog’s mind to good behaviors will show him that you don’t like when he randomly barks. You may also choose to ignore your dog’s barking; many times a dog will hush up if they realize no one is paying attention to them. You should also remove your dog’s reason for barking, if possible. You can’t make people stop walking their dogs past your house. However, you can invest in drapes or blinds that block your dog from seeing them. You can also desensitize your dog to the source of his barking. For example, if he likes to bark at other dogs, try doggie daycare so he gets plenty of socialization. And finally, a tired dog is a happy dog. Make sure your dog gets plenty of exercise each day. He’ll be too tired and too happy to bother with raising a ruckus at the sound of the doorbell or a strange person walking by your home. Don’t get frustrated with your dog. He can tell when you are upset and this will derail your attempts to train him. Remember, when you yell at your dog, he thinks you are “barking” back at him, and will continue his behavior. Training a dog can take time, as they don’t communicate the same way people do. Be patient and enlist the help of a professional if you don’t feel like you and your dog are on the same sheet of music when it comes to acceptable behaviors. Visit NuVet’s Twitter page or Facebook page to learn more about canine behavior!